Research Finds Link Between Dry Eyes and Chronic Pain- Pain News - Pain.dieutridau.com - All for Pain Relief ! Dry eye is a medical condition suffered by those whose eyes either don’t produce sufficient tears or they are of poor quality. Without sufficient lubrication for these eyes, they are also not being nourished properly and those afflicted with this condition can have a burning or stinging sensation that’s extremely uncomfortable. Recently, researchers at the University of Miami Miller School of Medicine uncovered a link between dry eyes and chronic pain. Physicians from Bascom Palmer Eye Institute, a part of the University’s Health System, Doctors Anat Galor and Roy Levitt published their findings in the American Pain Society’s Journal of Pain publication. Left untreated, dry eyes can lead to pain, ulcers, or scars on the cornea, and some loss of vision. Unlike some other eyesight related conditions like cataracts, there’s no surgical treatment available to cure this condition. “Patient’s eyes may become hyper-sensitive to stimuli, such as wind or light, or have spontaneous pain such as a feeling of burning, which is typically associated with nerve injury,” offered Dr. Levitt. According to estimates from the American Eye Institute, dry eyes affect around 3 million Americans annually. For some that produce a small amount tears, sometimes they can evaporate from the surface of the cornea before they can provide relief for those suffering from this painful and irritating condition. Dr. Galor and her associate Dr. Levitt continue their work at the Bascom Palmer Eye Institute, world renown as one of the best providers of eye care. Their team treats over 250,000 patients each year and perform 18,000 surgeries annually. They have four locations in Florida including Miami, Naples, Palm Beach Gardens and Plantation. 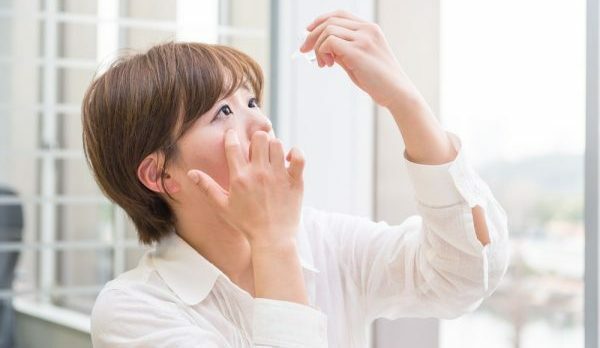 With ongoing research, a solution for dry eyes may be heading for a more long-term, permanent solution other than eye drops or topical solutions that only seem to provide temporary relief. For now, we can thank Dr. Galor, Dr. Levitt and more than twenty other researchers for providing us with this important link and associative information. For a complete list of all the doctors who contributed to this study, visit the University of Miami Health System’s website here.